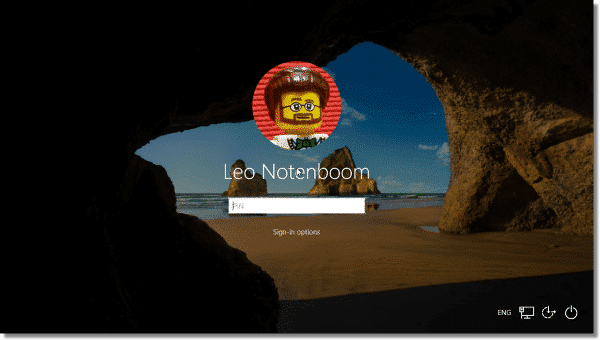 Restoring an Image Using EaseUS Todo - Ask Leo! You have an image backup and an emergency disk. Here's how you restore that image to your computer. The built-in back-up utility in Windows is soon to be forsaken. 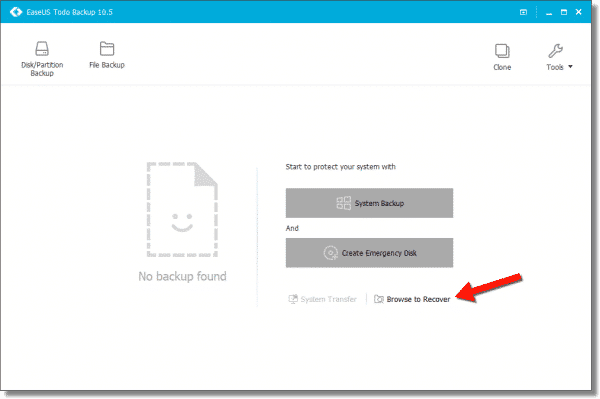 In previous articles, we covered how to use the free version of EaseUS Todo to make a system image backup and emergency disk. Now it’s time to use that emergency disk. Let’s restore a backup image to our machine. It’s important to realize exactly what restoring an image actually means: it replaces everything on the disk with the contents of the image. 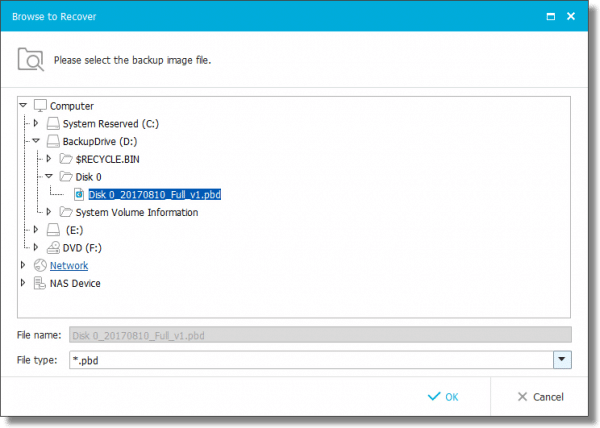 If you took an image backup on Monday, and it’s now Wednesday, restoring Monday’s image backup will overwrite everything on the hard disk, and your machine will be as it was at the time of that backup. Everything that happened on Tuesday and Wednesday would be lost. If “what happened” was a malware infection, then that’s conceivably exactly what we want. On the other hand, if you did important work on Tuesday and Wednesday you don’t want to lose, you’ll want to save that work somehow: you could copy the new files elsewhere, or create a new image backup prior to restoring the old one. Of course, if “what happened” was a hard drive failure and replacement, you may not have a choice. You’ll simply restore the most recent image you have. I’ll call it “Step Zero” — prior to performing the restore, if you can, save any data that hasn’t been backed up. Unfortunately, exactly how to boot from an emergency disk varies from machine to machine. Check the instructions for your specific computer to learn how to boot from the emergency disk (CD/DVD or USB) you created earlier. In some cases, it’s a simple choice made at boot time. In other cases, most notably newer machines with UEFI and Secure Boot, the process is more complex. 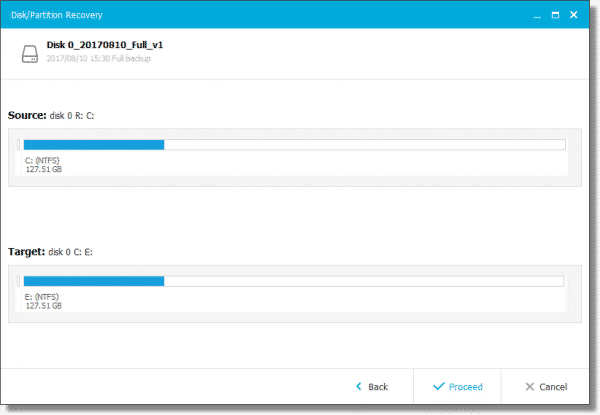 Booting from the emergency disk automatically runs EaseUS Todo. On its opening screen, click on Browse to Recover to begin the restoration process. This will open a file-selection dialog box. The file “Disk_0_20170810_full_v1.pbd” is the image file I want to restore. Yours will be named differently, and there may be multiple files. Unless you know otherwise, you generally want the most recent backup image. It’s worth noting that the drive letters you see may be different than what you normally see in Windows. In my case, my external drive is normally drive “E:”, but when booting from the emergency disk, it appears as drive “D:”. This is normal. You’ll need to look at the drive’s name (“BackupDrive”, in my case), and its contents to confirm you’re looking at the correct drive. 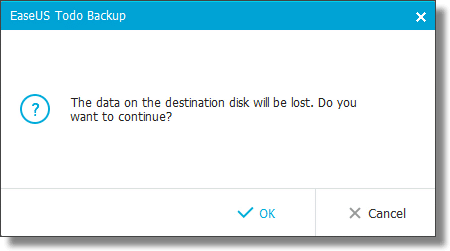 Once you’ve selected the appropriate image file to restore, click OK.
Next, you’ll be shown a dialog displaying the disks and partitions contained within the image you’ve selected. This allows you to choose to restore the entire disk image — by checking the box next to “Hard disk 0”, in my example — or unchecking that box and selecting individual partitions within the image instead. Most commonly, you’ll restore the entire hard disk (in the case of a hard disk replacement due to failure, for example), so we’ll check the Hard disk box. You’ll then be taken to a dialog which displays the drives and partitions to which you might restore your image. All the hard disks known to your machine will be displayed, possibly including your external drive. Check the box next to the drive you’re restoring to. In our example, that’s the first drive listed — Hard disk 0. Once again, note that drive letters may be different than what you normally see when running Windows. Click Next. You’ll be presented with a summary of what’s about to happen. Remember I said the restore would overwrite everything currently on your hard drive? EaseUS reminds you before continuing. How long the restore takes depends, like the backup, on how fast your drives are, how fast your computer is, and how much data there is to be restored. Progress will be displayed along the way. Click on Finish, and close EaseUS Todo by clicking on the “x” in its upper right corner. Your machine will reboot. Take care to remove the emergency disk, or to select your computer’s system disk from which to book. Again, how to do this specifically will depend on your computer. When the boot completes, you can breathe a sigh of relief as familiar screens appear. Remember, however: this is Windows as it was when you took the backup image. You’ve successfully restored your backup image. « Previous post: Full? Incremental? Differential? 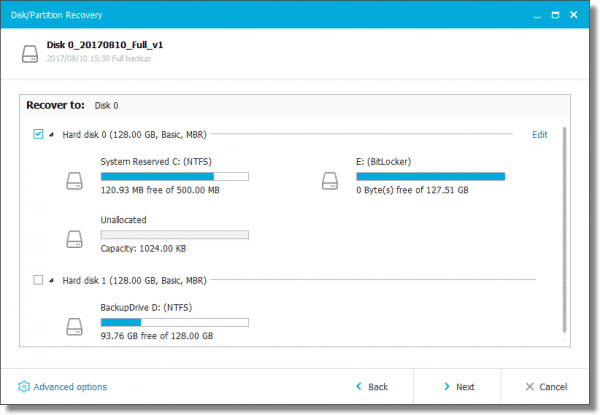 What Kind of Backup Do I Want? I think it’s worth mentioning that in Step #1 of this article, the user needs to boot from the emergency disk – EVEN IF your PC has absolutely no problem booting. This was a point of confusion for me as I had been using Acronis TrueImage to create image backups before switching to Macrium Reflect. 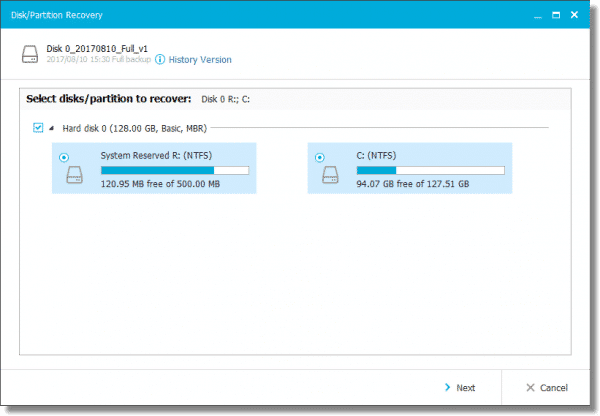 With Acronis, I never had to use an emergency/rescue/repair disk to restore an image backup, which is much simpler because you don’t have to mess with the boot order in the BIOS and you don’t have to deal with another disk. 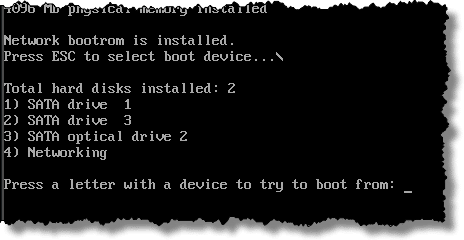 So when Leo instructed the readers to first boot from an emergency disk in his Macrium book (and in this article for EaseUS Todo), I mistakenly thought that instruction applied to only those users whose PC will not boot. That mistake led to an “Unable to lock drive” error that prevented me from restoring an image backup with Macrium. Fortunately, after some research, I figured out my mistake and even found a way to restore an image backup without using an emergency disk in Macrium. I think what you experienced is due to something specific to your system. It’s possible that whatever caused you to need to restore also caused the restore from the current Windows session to fail. I’ve restored from backups while logged into Windows running from my C: drive. Normally, if you can run your backup program within Windows, you can restore from it. If it fails, then you would need to boot from the rescue media. The article states “Unless you know otherwise, you generally want the most recent backup image”. If you do know otherwise, for example, your computer got a virus yesterday before it was backed up, the date of the backup is included in the backup’s file name. So choose the backup file with the day before yesterday’s date. Just keep in mind, if you have your backups scheduled to run after midnight, the day before yesterday’s backup will have yesterday’s date. If you restore and find out that your computer is still infected, you can go back another day or two when you discover it. On the other hand, going back more days than necessary isn’t bad either as you can still get more recent data from the infected image as the malware wouldn’t generally harm the user data. I’ve been playing around with EaseUS ToDo Backup Free this morning. I would love to be able to have the ability to put all-I-need onto one USB drive. a.k.a. – a bootable USB that includes any restore program AND the Image(s). I tried making an EaseUS ToDo Emergency Disk and then just copying the previously made Image to that USB, but It said there wasn’t enough space on the huge USB drive that ToDo formatted?!?!?! Why dedicate 2 of my 32G USB sticks (1=Emergency Disk & 2=the Image) when 1 USB stick has more than enough space?!?!?!? A USB flash drive large enough to hold a system image backup plus the PE operating system would probably cost more than a flash drive and an external HDD combined. Additionally, flash memory is less reliable than an HDD and high a higher chance of damaged sectors.